A pioneer shares his memories and insights on the technique he defined ¢ Completes the best-selling trilogy that began with Ray Harryhausen: An Animated Life ( Terrific! Publishers Weekly) and The Art of Ray Harryhausen ( Highly recommended. Library Journal) ¢ Never-before-published photos! ¢ Traces the history of stop-motion animation from the 1890s through Chicken Run and beyondThis lavishly illustrated tribute to the stop-motion animation the technique behind special effects for more than half a century traces the history of the genre through the eyes of the industry s greatest pioneer. 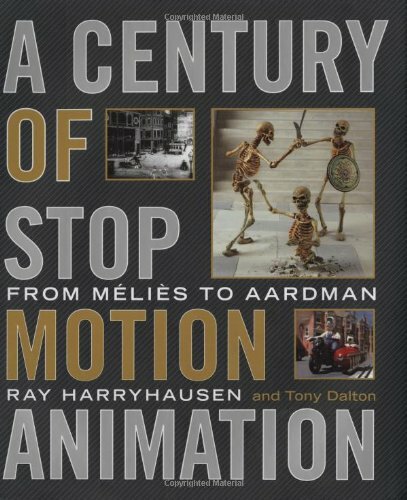 From crude model animations in the 1890s, through the first animated feature and into the computer age, Ray Harryhausen and his co-author, Tony Dalton, reveal the patience and ingenuity of animators and explain the development of the technology. Ray Harryhausen is revered as the master of special effects in the pre-computer age. His timeless work includes Jason and the Argonauts and The Clash of the Titans. He received an honorary Oscar in 1992 and a star on Hollywood’s Walk of Fame in 2003. Many know his name from the elegant restaurant Harryhausen’s in the animated movie Monsters Inc.. He lives in London. Tony Dalton has known Harryhausen for more than thirty years. A film historian and writer, he runs his own archive research company. His previous book, also co-written with Harryhausen, is Ray Harryhausen: An Animated Life. He also lives in London.